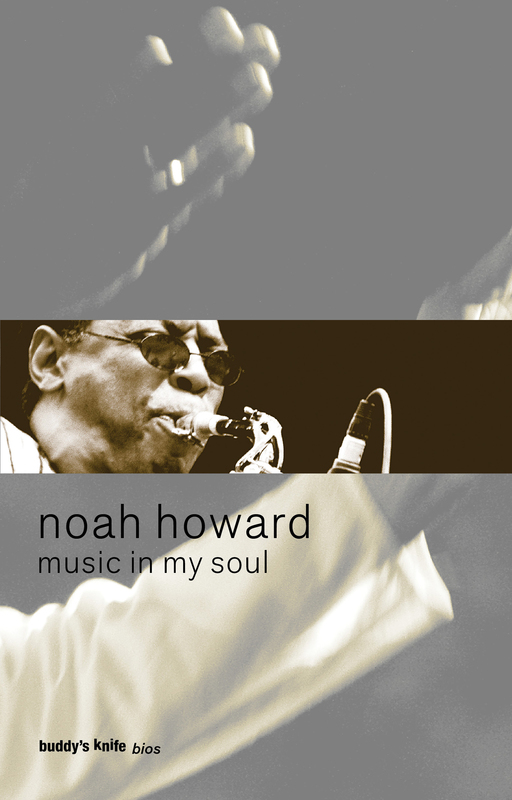 Alto saxophonist Noah Howard, completed this poignant documentation of his life in music, his proudest solo, just before he passed. Over several years, Noah and his wife, Dr Lieve Fransen, sought to capture and artfully organize his nurturing experiences with family, candid impressions of fellow musicians, disdain for the music industry and most importantly his singular relationship with sound creation. Noah’s sudden passing not only left a chasm in Black Classical music, but presented Lieve with the towering task of identifying a publisher with whom she could collaborate to bring her husband’s work to light. Cologne’s buddy’s knife jazzedition, fresh off of its successful 2010 publication of the anthology, “silent solos – improvisers speak”, was her choice. There, the team of Founder and Editor, Renate Da Rin; Editor, Guy N. Fraser; and Artist, Jorgo Schäfer synthesize their skills to showcase the literary achievements of our most innovative musicians. Noah’s professional life was one of great contrast. On one hand, his musical accomplishments were truly unsung. Much of Howard’s work was esoteric, poorly promoted, and his being an expatriate complicated his direct involvement with US distribution. Conversely, his lifelong dream of traveling the world and musically interpreting these experiences, in all their mysteries and vibrant colors, was fulfilled. “music in my soul” is Noah’s story, replete with photos, an extensive discography and his vibe that makes it sing.